The first apartment has unique Elip arched structure, the maximum open space, creating beautiful views from inside and outside. 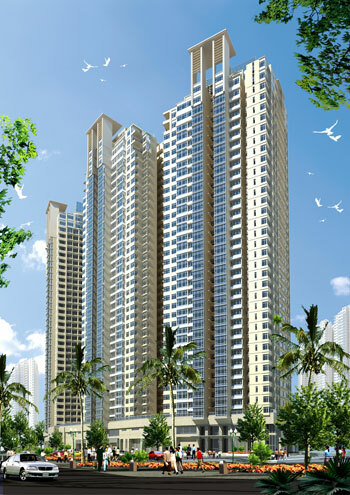 Riverpark Residence with 290 apartments and 14 stores in 3 blocks from 13 to 26 floors. This project, designed by Axel Korn Architektur (Germany), is built on an area of ​​approximately 17,000 square meters, with a total floor area of ​​59,954 square meters. 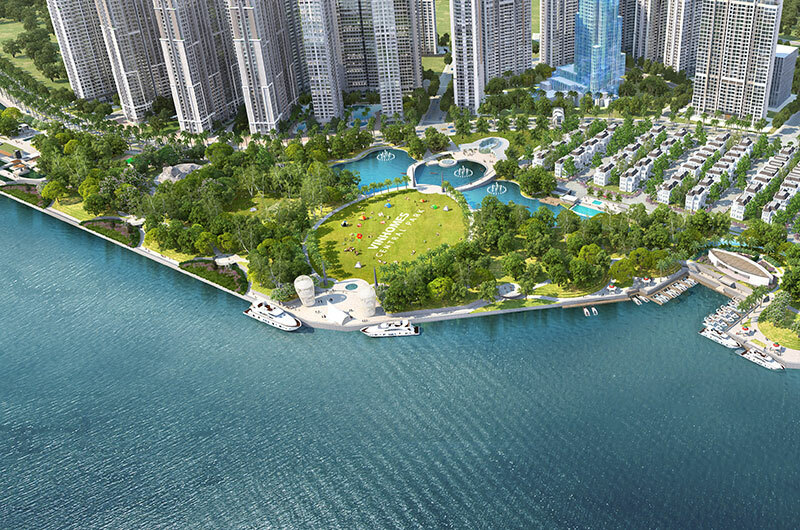 Riverpark Residence apartment is located along the scenic river and in front of the park is 7.400m2, located on the Nguyen Duc Canh street, The HillView area has developed quite complete, so convenient for residences. The architecture consists of two rectangular blocks and an ellipsoidal block, not only as an architectural style that takes advantage of the "two natural facets" of the scenic river and the large park next door, maximum space for the front and rear of the apartment; It is also a combination of classic blocks - rectangles with elliptic blocks, creating a distinct and unique value for the whole project. Elip building is arranged 4 apartments / floor with 2 elevators to create each apartment a strange design style and utility; The other two rectangular blocks arranged 6 apartments / floor with 3 lifts; With the common area of ​​123 to 133m2, there are 2, 3 bedrooms / flat is the layout of apartment space reasonable for residents, bring natural living space for the apartment. Enjoying the advantage of Hill Scenery Area has developed complete with synchronous infrastructure, Riverpark Residence takes you into modern living space, utility, full of excitement when life is endless festival. 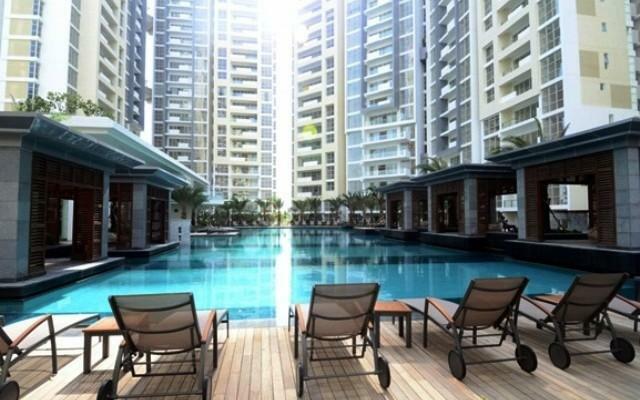 Riverpark Residence keeps you in the best moments. Within The Hillview area, there are various types of services: supermarkets, restaurants, cafes, convenience stores, beauty centers, nursery schools, Dinh Thien Ly School, Saigon, Phu My Hung Customer Service Center ... all create a very convenient living environment for you. 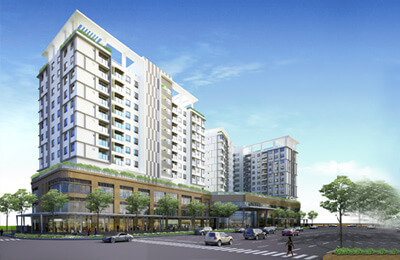 We manage almost apartment for rent in River Park Residence and other projects in Phu My Hung. Please kindly contact us at: 0909 288 281 /0907 018 592 (Viber/Whatapps/Line) for checking apartments in River Park Residences as well as in Phu My Hung Area.